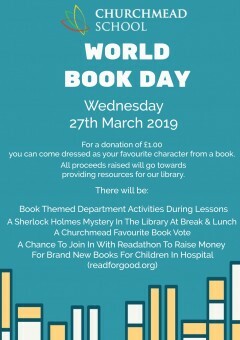 Here at Churchmead we like to do things a bit differently and as World Book Day has passed us by, we will be holding our very own 'Churchmead Book Day' on Wednesday 27th March. 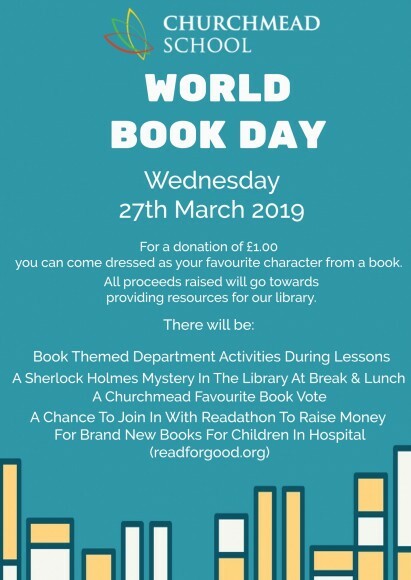 Staff will adorn their favourite book character costumes, departments will be decorated and there will be various activities held throughout the day such as a Sherlock Holmes Detective Quest, with prizes to be won. Students can come to school dressed as a book character for a £1 donation, otherwise students must remain in uniform. Donations will go towards the purchase of new Library resources. Finally, if you have any non-fiction books that you would like to donate to the School Library please leave at Reception. Welcome to Churchmead Church of England School. I am very proud of our students and all that they achieve. Whilst these pages will provide you with information about our school, I really hope that you will be encouraged to visit us, to fully appreciate all that is on offer for your son/daughter.